In this post, we'll see how Factory method Design Pattern come into picture, what advantages it will provide and how it help in implementing loose coupling concept. 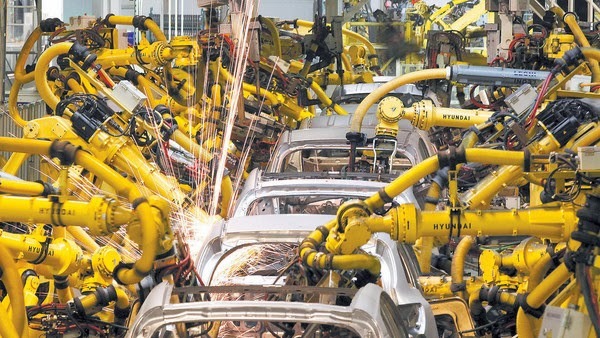 Below picture shows Car factory that produce different car depending on it's feature and model. For instance, it produces BMW 1 series, BMW 2 Series, BMW M3 etc. Whatever order we placed for car, factory will produce. This same concept applies to Factory Design pattern. From the name itself you can identify what does this pattern do. Factory method pattern is used for creating object based on different parameters. If we ask for BMW M3, the factory will produce BMW M3; if we ask for Ferrari, factory will produce Ferrari. The factory method pattern is an object-oriented creational design pattern to implement the concept of factories and deals with the problem of creating objects (products) without specifying the exact class of object that will be created. The essence of this pattern is to "Define an interface for creating an object, but let the classes that implement the interface decide which class to instantiate. Here we have got several class being instantiated and the decision of which to instantiate is made at run time depending on condition. When it comes time for change or extensions you'll need to open this code and examine what need to be added or deleted. This kind of code ends up in several part of the application making maintenance and update more difficult. By coding to interface, you can free yourself from a lot of changes that might happen to a system down the road. How? If your code is written to interface, then it work with any new class implementing that interface through polymorphism. But, when you have code that make a lot of concrete class, you are looking for trouble because that code may have to changed as new concrete classed are added. It means this code is not "closed for modification". Now here come the first design principle : identify the aspects that vary and separate them from what stays the same. But now we know that what is varying and what isn't, it's probably time to encapsulate it. We will move the following code out, then place that code in an object that is only going to worry about how to create car. If anybody object need a car object created, this is object to come in. We got a name for this new object; we call it a Factory. It looks like we are just pushing the problem off to another object. Yes, you are right. One thing to remember is that CarFactory may have different client. We have only seen the createCar method; however, there may be different class TyreCar that uses the factory to get car for tunning tyre performance. We might also have a EngineCar class that tune the engine other than CreateCar. So TyreCar, EngineCar also need instance of car instead of writing the object creation each class, they are use Factory class. Factory patterns are examples of creational patterns. Creational patterns abstract the object instantiation process.They hide how objects are created and help make the overall system independent of how its objects are created and composed. All OO languages have an idiom for object creation. In Java this idiom is the new operator. Creational patterns allow us to write methods that create new objects without explicitly using the new operator. This allows us to write methods that can instantiate different objects and that can be extended to instantiate other newly-developed objects, all without modifying the method's code!